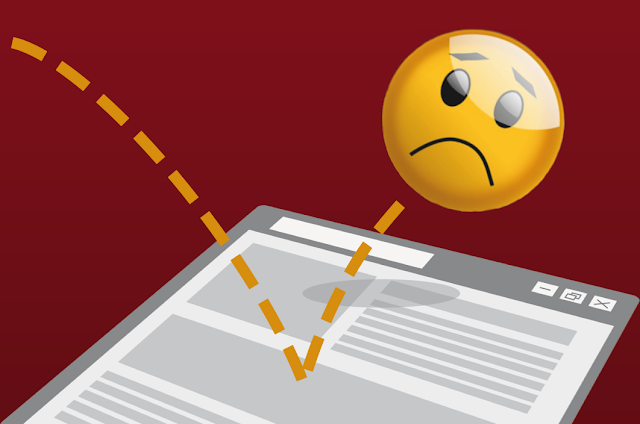 Bounce rates are pain for webmasters and marketers as well. Increasing bounce rates is a concern for every department related to a website. Reasons can land up to any department, whether it is the designer, marketer, or product development department. Bounce rate is calculated on the basis of visitors who had visited the site and left without further navigating to any other pages. Unlike obvious understanding of “increase is good and decrease is bad”, increasing bounce rates are bad and can turn upside down an online empire. Let us discuss some of the factors which can lead to decrease in bounce rates and may be conversions on your site. Website loading speed: No one likes a tortoise in terms of speed. A website which loads faster is applauded by visitors. Speed of website depends upon content of website like Images, videos, audios, flash files etc. Today fonts also have added to site speed metrics. Google now offers various fonts to make website look beautiful and thematic but it comes with a compromise. Just like font files in desktops, these fonts also have files stored on external servers(Google servers in case of Google fonts) and have some size. Website speed can be checked by google’s page speed checking tool. Along with checking for speed it generates list of suggestions to act upon so that site’s speed can be increased. User registration service: Quiet amusing it is that even registration is making visitors away, but it is true. There is a psychology behind it . A well structured user registration service is more appealing than a cluttered registration environment, no ones likes messy stuff. It should also have every possible secure module to authenticate to site, like traditional login, social login, otp login etc. It happens with time that users get use to a trend and want trend friendly environment everywhere. Website colors: Every color has its own impact on psychology of a person. Every color hits a certain emotion in brain and triggers it out upon exposure. For example red is always associated with anger, increasing pulse and generate ecstasy. Emotions then influence visitors way of buying or using product or service. Using wrong color combination may trigger wrong emotions, making customers never come back. Content: You may not be delivering what you wrote for. If you wrote about unknown life hacks, then they should be worthy of reading and unique, which no one has ever thought of. Astraying visitors will lead to loss of reputation and permanent traffic which no one wants to happen. Concentrating on these points first can help in determining some of many causes of increasing bounce rates and help in solving them too.